Since lentils are the main source of protein in a vegetarian diet, I use it in my cooking, almost every single day, either in the form of sambars, kootus or dals. 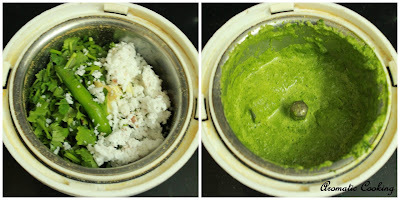 Some time back, I had jotted down this recipe from a newspaper, a very simple and easy to make dish. 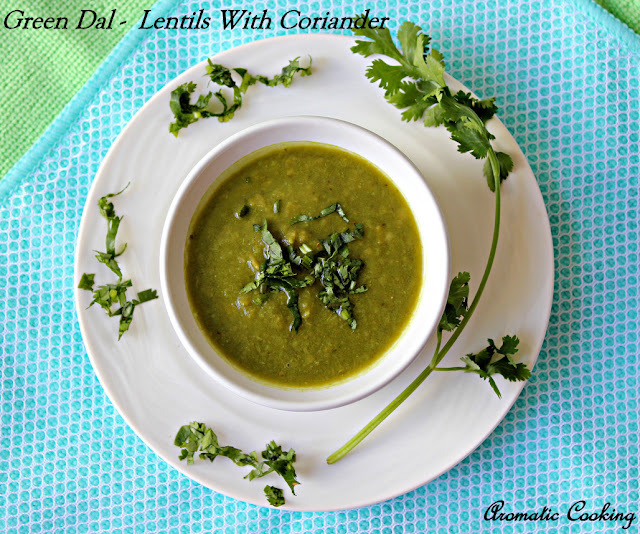 Green Dal, the name is because of the green color, it gets from the coriander used in it, which along with ginger and garlic gives a wonderful flavor to the dal. This dal goes very well with plain rice or even with light pilafs or rotis..
Pressure cook the tuvar dal along with the turmeric powder, mash slightly and keep. Grind together all the ingredients given under 'to grind'. Heat some oil, add the curry leaves, mix once and add the mashed dal. Mix, then add the ground paste, about 1 to 11/2 cups of water. Mix, bring it to a boil and simmer for about 10 minutes. Finally add the lemon juice, mix and switch off. Add more or less green chillies depending on the spice level of the chillies. You can add some more water and have this dal as a soup. That is wonderful version Hema, I love the green color. Love to have it with some rice,inviting:)] Flavors Of Cuisines-"Mexican"
lovely and inviting clicks.. this looks very tempting and yummy..
very unique dal recipe Hema, sounds interesting...will try it sometime soon...great accompaniment with jeera rice/plain rice! What a pretty green. 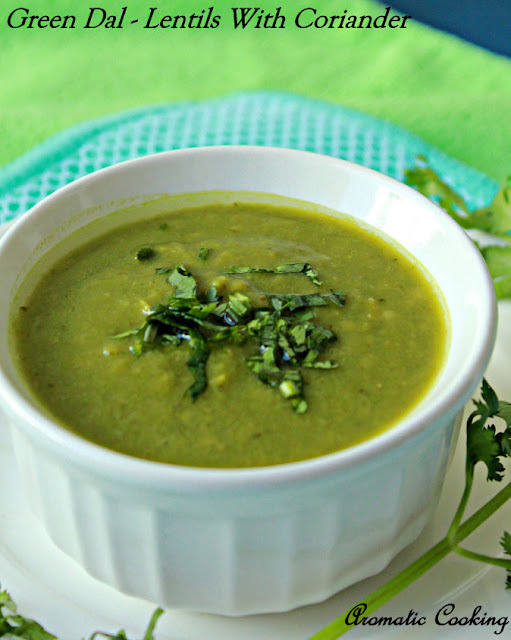 Luv this healthy and aromatic recipe. very innovative recipe hema.. like the color of dal..
lovely recipe with a fresh colour! This is such an interesting twist to the normal dal that we make. Love the colour and I am very curious to see how it tastes. Gotta try! loved it, looks delicious.. nice green color.. This recipe looks delicious - I am definitely going to try it! How many servings is this?? About 3 to 4 servings..